Chaat is one of Varanasi’s most treasured dishes and Kaashi Chaat Bhandar serves it to the people. The experience of lip-smacking Tomato Chaat served in a kulhad (small earthen pot) begins early in the morning with people lining up right from wee hours. A small chaat shop in Godaulia that always seems to be crowded, this place will give you some serious larger than life vibes of discovering the little things that truly make Varanasi. It would be wrong to talk about good chaat shops in Varanasi without talking about Chachi Ki Kachori. Chachi Ki Kachori was founded and made famous by an old lady who was fondly called Chachi. This fondness for the skilled chaat maker resulted in the name of the shop. This is a small unidentifiable restaurant in Lanka, Varanasi if not for all the locals lining up to get their morning dose of Kachori Sabzi and Jalebi right from 7:00 AM! Ask any local for a good restaurant in Varanasi where to eat chaat and they will recommend Deena Chaat Bhandar. 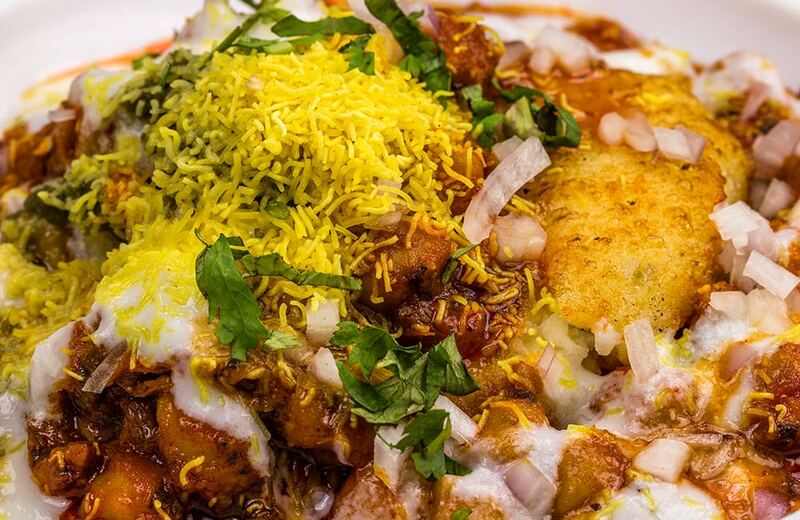 This legendary chaat joint gives visitors all that they are craving for – authentic Banarasi chaat. Deena Chaat Bhandar goes through the constant influx of people throughout the day waiting their turn to try the famous tamatar chaat, tikki chhole and kulfi falooda. The perfect food lover’s binge, this place leaves you wanting for more. Varanasi Restaurant and Café is a typical Varanasi house that has been transformed into a café where people now make memories of everything Banarasi. From breakfasts to having complete Banarasi Thalis for lunch and dinner – the Varanasi Restaurant lives up to its name and the city’s grandeur! It fashions traditional floor seating and also features a cosy rooftop sitting area for those who love to admire the skies. Sri Annapurna restaurant in Varanasi is one of the best restaurants to go to for a family dinner. The restaurant’s menu perfectly balances a palette of Indian and Continental cuisines which makes it one of the best restaurants near Sigra, Varanasi. It fashions traditional Indian floor seating with a service staff dressed in traditional Indian clothes. Canton Royale is a part of Surya Hotel. This hotel is a 200-year-old heritage house converted into the present day traditional extravaganza. The high-end restaurant has warm royal interiors that take you back to the times of the Kings. Their menu consists of a multiple course meal options with an ethnic mix of North Indian, Continental and Mediterranean dishes. The restaurant also features a spacious outdoor seating in the perfectly trimmed and maintained lawn for a beautiful evening dinner. Baati Chokha restaurant in Varanasi has been in business for more than two decades. They take pride in serving 100% traditional Indian vegetarian food that tantalizes your taste buds. Baati Chokha believes in investing in traditional Indian cuisine to bring the true flavours of the country out on a plate. With a traditional earthen interior that surrounds you, the “mitti ki khushboo” dining experience seems to be just a whiff away. Aum Café is a small boutique café located in Assi Ghat. It is known for cooking up the best vegetarian delicacies in Varanasi. One of the most famous vegetarian recipes that they have is Daal Chilla. They serve healthy feel-good comfort food options on the upper floor of a small building in the winding streets of Varanasi. The café is homely and surprisingly cool for the hot Varanasi weather. Aadha-Aadha Café in Varanasi is one of the best cafes that brings out the best of Indian, Continental and French Cuisine on the table for you. The café is best for people who want to go light on their budget while having a bouquet dining experience. With places like the Kalika Restaurant, Varanasi boasts of its expertise in preparing and serving non-vegetarian delicacies to meat lovers who visit Varanasi. The restaurant has been in business since August 1984 with family secrets running across their menu in the form of delectable seafood, chicken and meat choices. Their menu is their culinary triumph and it will surely leave you wanting to try everything on it! Tandoor Villa is consistently rated among the best non-veg restaurants in Varanasi because of its authentic tasting tandoori delicacies and homely atmosphere. 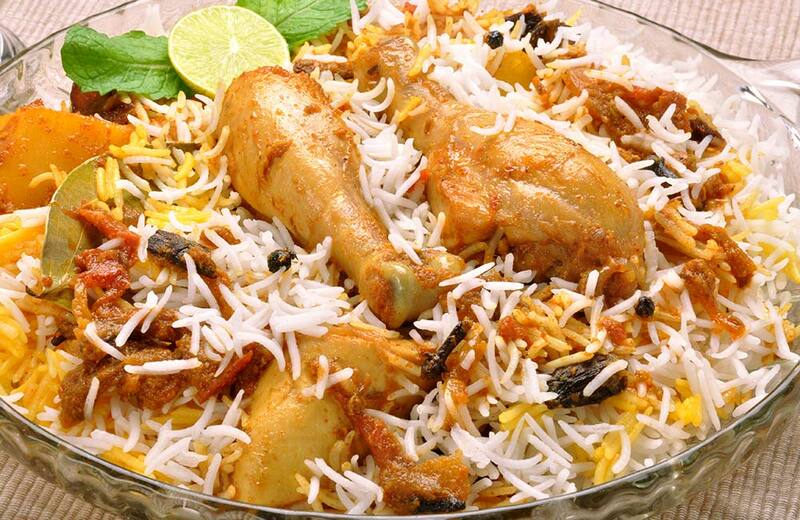 The restaurant is run by a family which enthusiastically serves you mouth-watering tandoori chicken. The place gets crowded around the weekend as families visit this North Indian restaurant to enjoy some fine tasting chicken. One of the most famous places for casual dining, Zaika Restaurant, Varanasi is the perfect place in the city for a nice and comfortable family dinner. The restaurant serves delicious Mughlai cuisine with interiors that enhance the experience. Their kebabs do complete justice to chicken and make it one of the best non-veg restaurants in Varanasi. If it couldn’t get any better, it is also one of the few rooftop restaurants in Varanasi with a scenic view of the spiritual city. Mangi Ferra Café is located in the Surya Hotel in Nadesar. This high-end indoor café also features a full bar with regularly organized fun parties that attract the trendiest crowds in town. The café restaurant features an eclectic mix of non-vegetarian and vegetarian food with platters, pizzas, sharing plates and other finger food delicacies. Itihaas Alley Kitchen is the perfect place for someone to dive into the rich heritage of the city’s history. You can order from a variety of vegetarian and non-vegetarian options at this restaurant. Located in yet another small lane of Varanasi, this alley restaurant personifies subtle grandeur. The name seems to be pretty self-explanatory for a good restaurant in Varanasi for family dinners and get-togethers. The experience for families is enhanced by their varied food options and impeccable services. 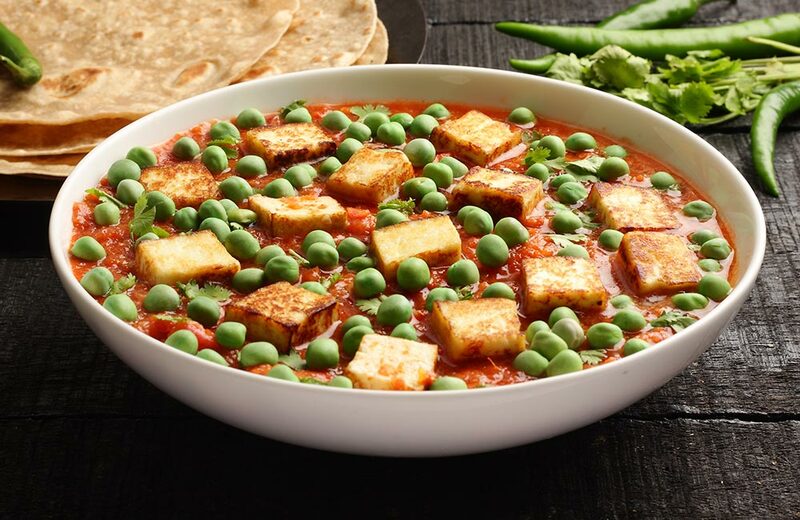 The food options include a wide range of vegetarian and non-vegetarian soups, starters, salads and a North Indian main course. The staff helps you choose from the vast menu and immediately makes your family feel comfortable by talking to you about their food options. From brownies, pastas, and risottos to full-blown Indian platters – Chrystal Bowl doesn’t fail to impress its visitors. The restaurant is known for its North Indian and Italian cuisine. Chrystal Bowl is a small restaurant in Lanka, Varanasi that feels like a big warm foodie hug for all food lovers. I:BA brings authentic Japanese taste to Varanasi’s colourful Indian lanes. It has a supportive staff that helps choose amongst multiple dishes from American, Japanese and North Indian cuisines. Although the restaurant is a bit towards the higher end in prices, the experience is totally worth it! Situated along the banks of the Ganges, this rooftop restaurant in Varanasi comes with a history. The café is world renowned for its authentic Italian taste. Featured on the Lonely Planet and Wall Street Journal, this is one of the best places to visit in Varanasi for food enthusiasts and globetrotters. It is also one of the best restaurants for couples in Varanasi to have a picturesque dinner date. Dolphin Restaurant is located right by one of the most visited temples in Varanasi – Manmandir Ghat. With a beautiful view of the Ganges, the atmosphere at this rooftop restaurant in Varanasi enhances the dining experience of a food lover. The cool evening breeze blends with the aroma of appetizing sizzlers at this personal evening getaway. Dolphin restaurant in Varanasi creates the perfect ambience for a romantic dinner with your special someone. This rooftop restaurant in Varanasi is one of the most famous places to enjoy a view of the majestic Ganges while sipping on hot coffee. The rooftop area features traditionally decorated walls with a cushioned seating on the floor. The area is surrounded by cane shades which cool the warm Varanasi air making it a perfect spot to laze around while enjoying a beautiful view. Vegan & Raw Restaurant is Varanasi’s first restaurant that features food options for those with difficult food decisions. The options for vegan travellers in Varanasi are not many. Under such circumstances, Vegan & Raw comes to their rescue, giving them an absolutely safe haven. Delicious food and peaceful paradise dining experience make this one of the best vegan restaurants in Varanasi. Located on the terrace of Hotel Palace on Rivers, the Roof Top Restaurant has a unique royale charm to it. Its majestic view of the Ganges, a cool breeze refreshes a traveller’s mind. Their menu is an eclectic mix of Indian, Chinese and Continental Cuisine. Their soulful food compliments the perfect view of the Ganges. The city of Varanasi has something in store for everyone. 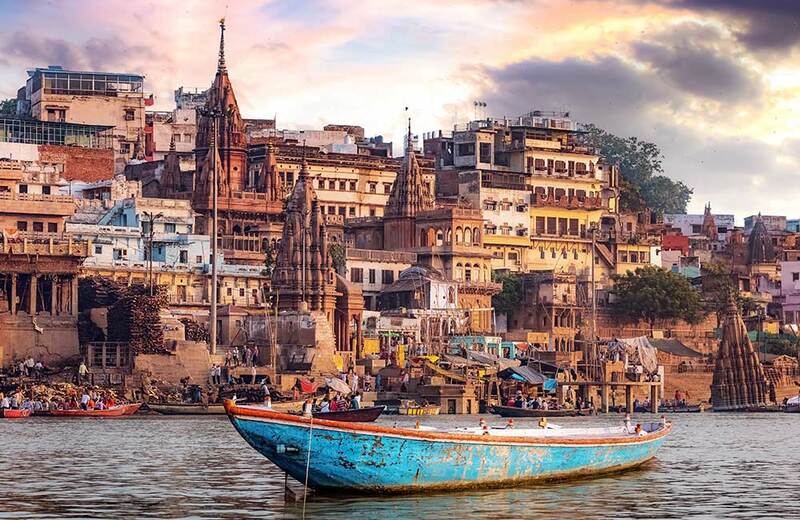 From calm and peaceful traditional old temples and ghats to fun and adventurous water parks, in Varanasi, you will always have something to do! We hope this blog on restaurants in Varanasi helps you as did our handy guide for a trip to Varanasi blog. Indulge in Varanasi’s carefree vibe and don’t hesitate to go off script from this list of restaurants to do some exploration of your own!